作者: The AsiaN Editor on 22 February , 2017. 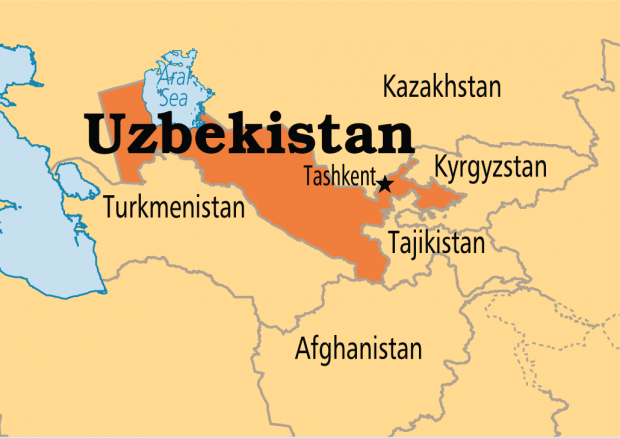 Implementation gradual reduction of production raw cotton from 3 million 350 thousand tons to 3 million tons in Uzbekistan is freeing up about 170,500 hectares of irrigated land, which is leading to the result that fruit and vegetables are being sown and planted on unleashed cotton fields. The same agricultural modernization can be seen in Namangan region of Uzbekistan. A farmer from Uchkurgan district of the region, Murodjon Ibrakhimov decided to increase the productivity of agricultural crops and put in the forefront industrialization of agriculture. The availability of big tomato harvest in the district led him to the idea of the establishment of tomato paste production plant. He went with his partners to China to see how it works. In Urumchi, they saw more than 300 such production enterprises. What drew their attention was the fact that only a few of them operated successfully just because they had own land to grow tomatoes. Ones which depend on the products bought from private sector around nearly bankrupted because people started to grow other vegetables which were more in demand. After coming back, they first applied for 500 ha of land to grow tomatoes and 11 ha to build greenhouses where seedlings would be grown. This project was welcomed and included in the State program. They got 2 million UDS loan from the bank. At the end of 2016, they started to realize the projected top of which is the establishment of tomato paste production plant “IDEAL TOMATO”, with the capacity of proceeding 720 tons of tomatoes per day. Today in the end of February 2017, the dozens of separately-built greenhouses with the single autonomous heating system are already ready to seed. In few days specialists from China are coming to Uchkurgan who will spend here one whole season of production – from seeding to producing tomato paste. To harvest the crop, two Italian tomatoes harvesting machines, named “Cosmo” has been ordered. The entrepreneurs are sure of their business because they already have requests from Russia for their products. According to the business plan, they are going to export production amounted to minimum 10 million USD. Drip irrigation system is being installed to all 500 ha of land which will save water and fertilizer that automatically will decrease cost price of production.